Thought Crouch End was all about leafy walks and quiet nights? 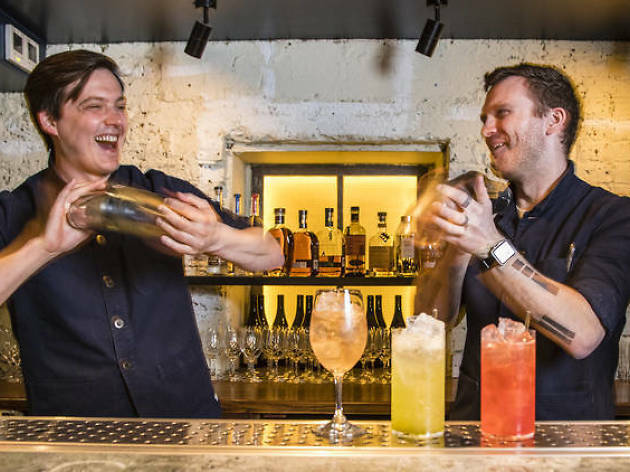 Well, there’s going to be a bit of a shake-up in N8, as the team behind Bar Three in Spitalfields – which Time Out awarded five stars when it opened earlier in the year – is setting up shop in the area with a brand-new bar concept. Little Mercies will be opening its doors on Broadway Parade in September, and is set to be a late-night hangout serving world-class cocktails to lucky locals. 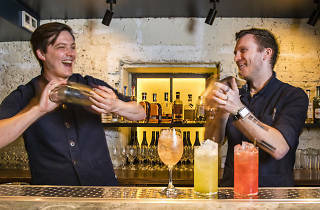 The bar comes from cocktail-making pals Alan Sherwood and brothers Max and Noel Venning, who also own Three Sheets, Dalston’s edgy and impeccable cocktail hangout. So expect flawless and inventive tipples the likes of which Crouchy has never seen. On the Little Mercies drinks menu will be a Peach Tea spiked with blanco tequila and the bar’s own reinvention of the pornstar martini. They’ll also be dishing up hipster snacks – from panko fried chicken to bavette steak buns. If all this has native Crouch Enders feeling uncomfortable, don’t worry – there will be brunch. Although, it’ll be served with nitro cold drip coffee on tap. Sounds like Crouch End is about to get Crouch Edgy. Little Mercies will open in September at 20 Broadway Parade, N8 9DE. Read our reviews of Bar Three and Three Sheets.